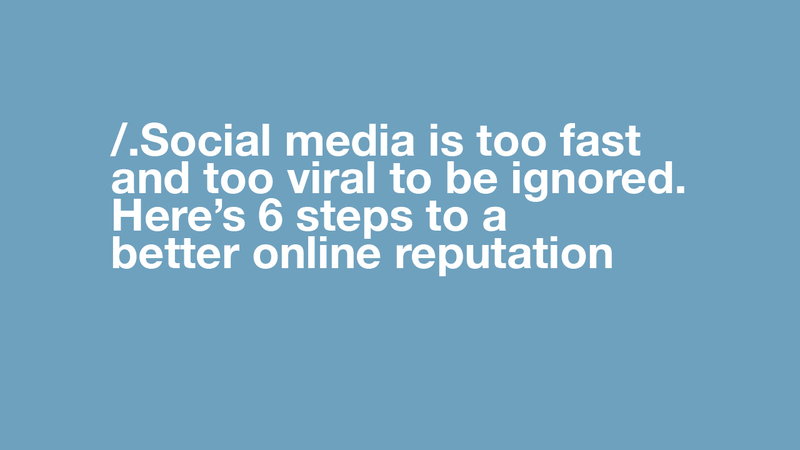 Social media is too fast and too viral to be ignored — what shall you do to ensure your online reputation doesn’t get hurt? Firstly, and without trying to state the obvious, you shouldn’t do stupid things! Diversify your online presence, monitor your search results daily, and counteract negative content,. Just imagine, you check your brand name again on Google – and here it is – a massively unpleasant review of your product/services on one of the blogs that pops up in the top results. You can optimise some of your website pages with your company name. It may sound strange, but still many people miss the point – the pages optimised for the company name are more likely to be at the top of the Google search engine results page. Not only does this give your site greater visibility in search results, it may also help push down not-so positive content about your company that you can’t control. I’ve already mentioned how fast news gets shared in social media. Especially some bad news… Google your company name daily (don’t get crazy about checking it every 5 minutes!). Keep an eye on any content that might be negative, as it poses serious dangers to your sales and image. Just imagine, you check your brand name again on Google – and here it is – a massively unpleasant review of your product/services on one of the blogs that pops up in the top results… Just don’t panic. Visit the page, find the contact details and try to communicate with the post writer. If it’s absolutely impossible to change anything in the content, you can leave your comment, explaining your side of the story and telling that you’ll take the necessary measures to handle the issues. No, you do not need to bribe the top bloggers to give you the best sentiments ever! First, discover who the most active and reputable guys in social networks are for your niche. Track their posts, articles, and tweets. Try to communicate with these people – leave thoughtful comments for their posts, mention them in your own tweets, request about any guest blogging opportunities, etc. Ray Best Creative Production | Branded packaging artwork, digital illustration, web design & development, SEO, interactive media.